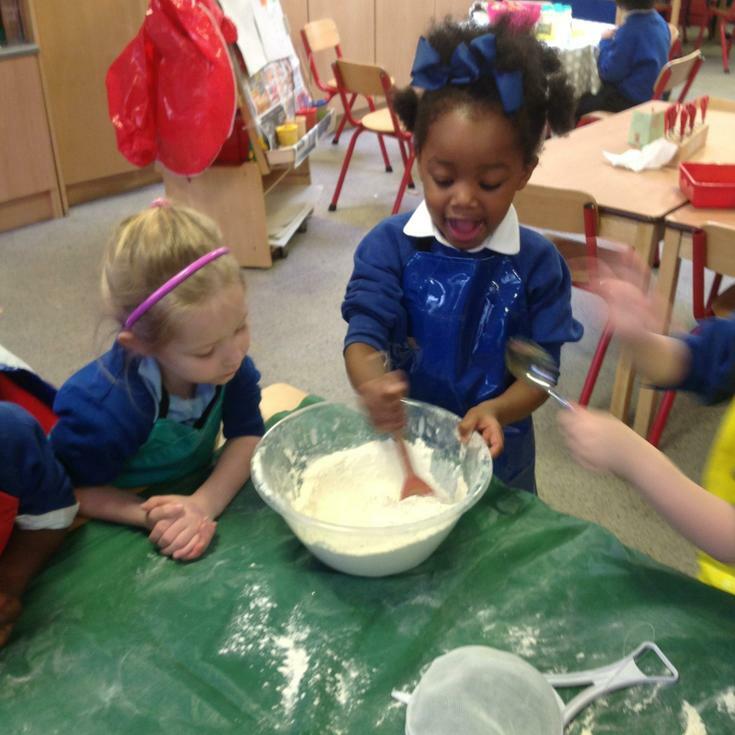 Welcome to the Reception Class page of our school website. 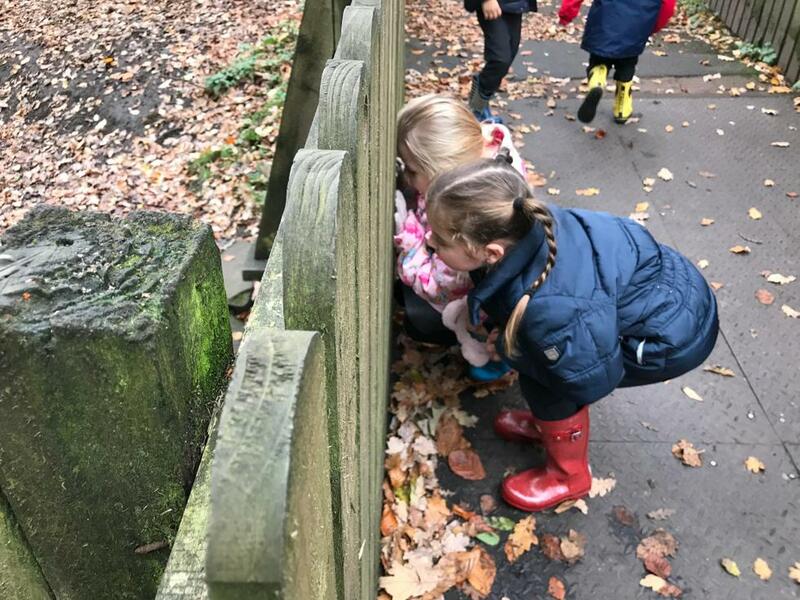 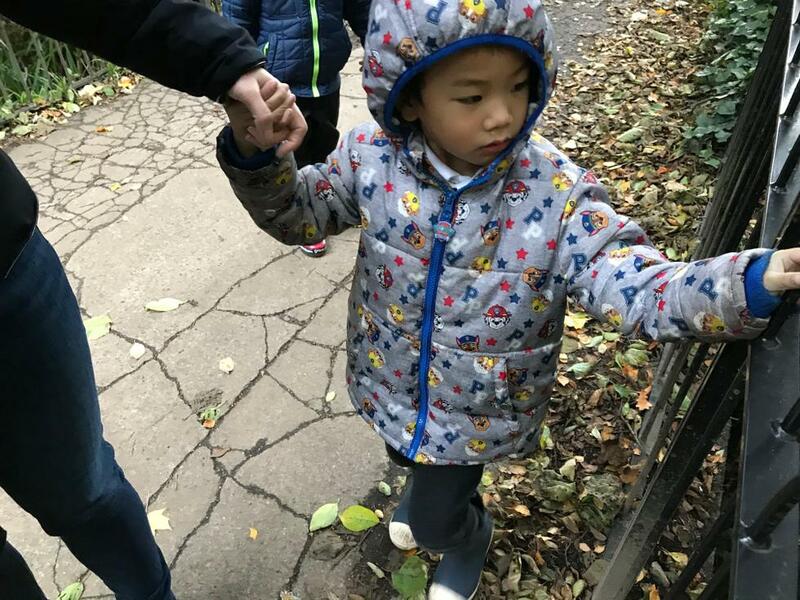 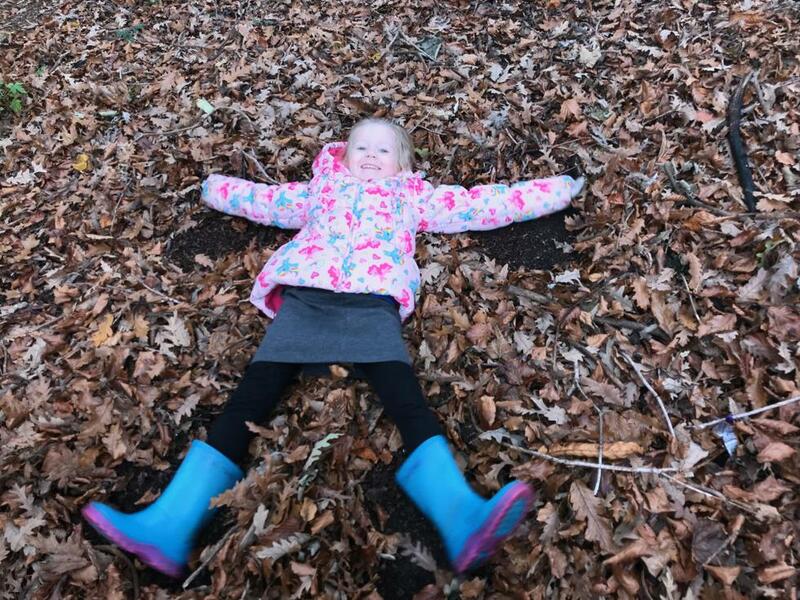 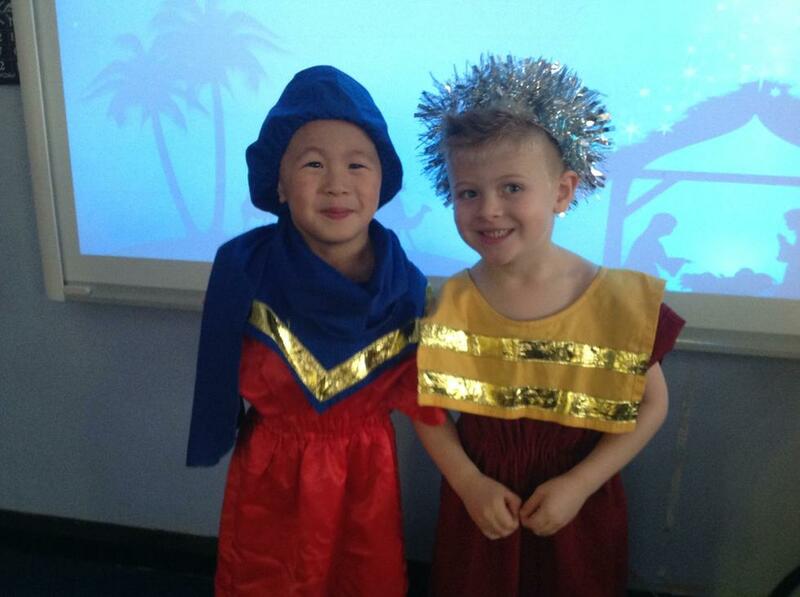 We hope this page gives you an insight into the wonderful learning that takes place in our class. 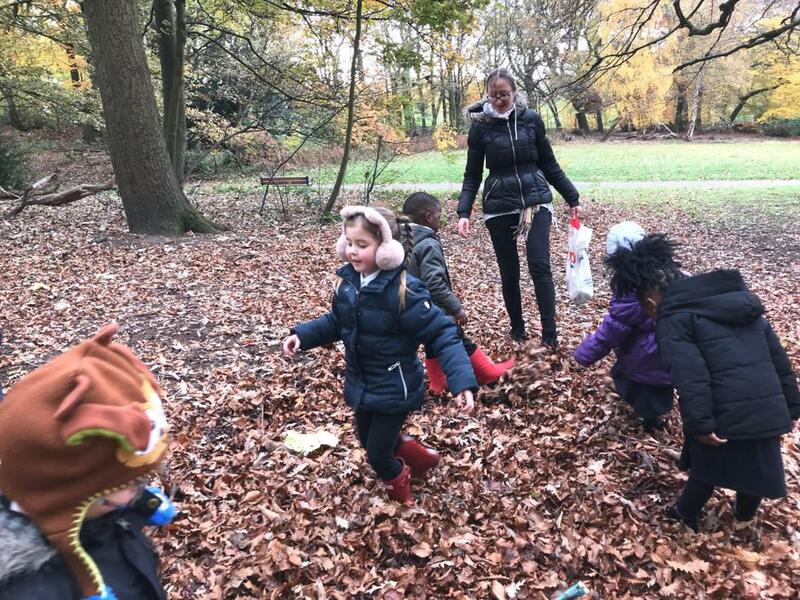 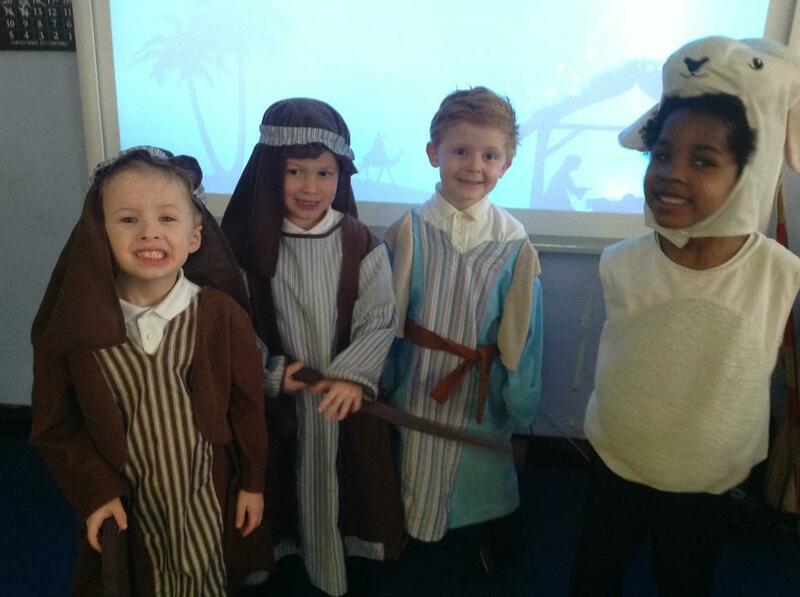 Our class team consists of Mrs Hamer, Mrs Culkin, Mrs Janik and of course, our fantastic children. 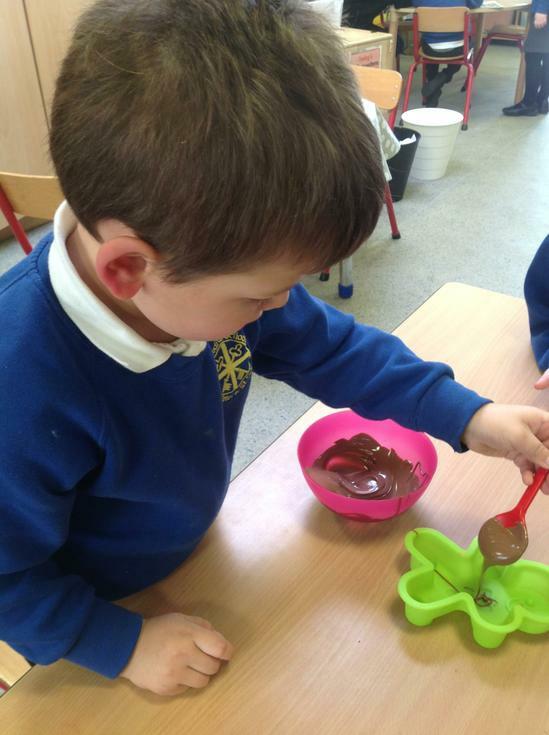 Reception Class have been learning the story of the Little Red Hen. 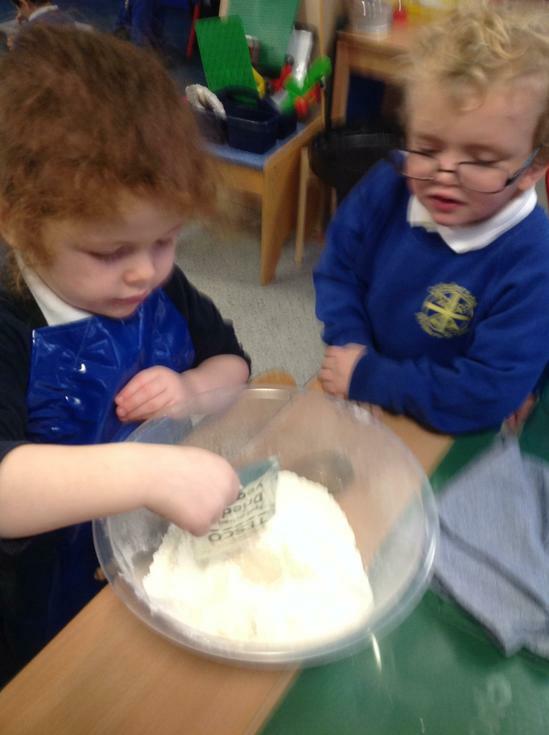 We decided that we would like to bake our own bread and unlike the story, where nobody wanted to help, we would all help. 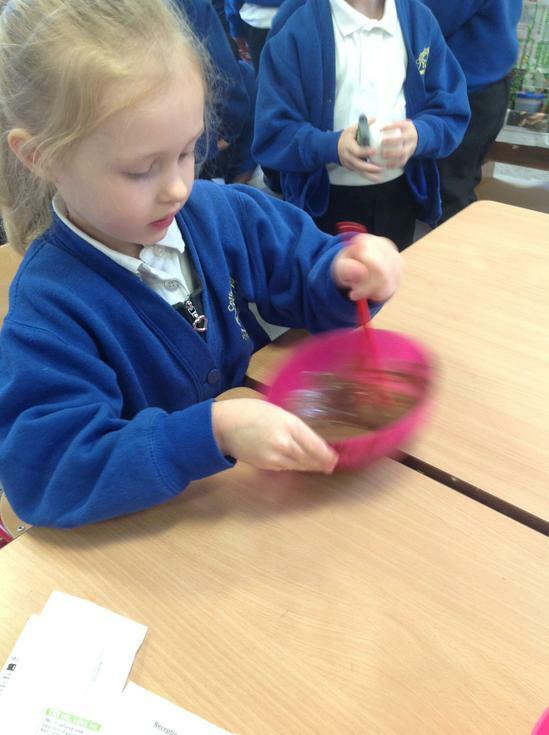 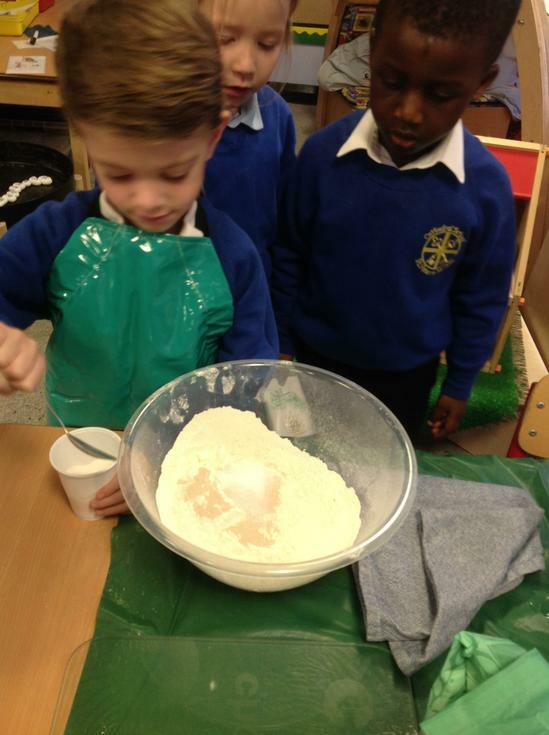 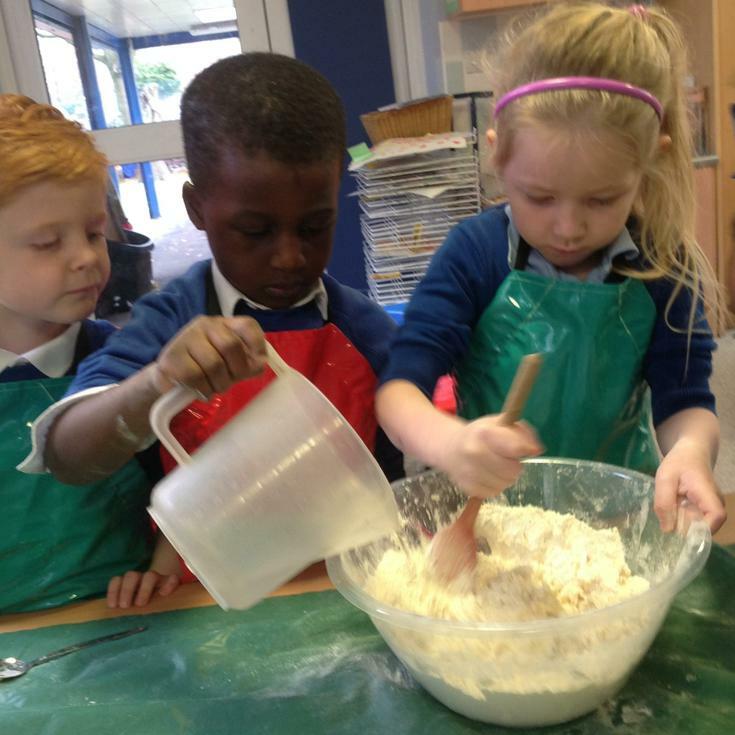 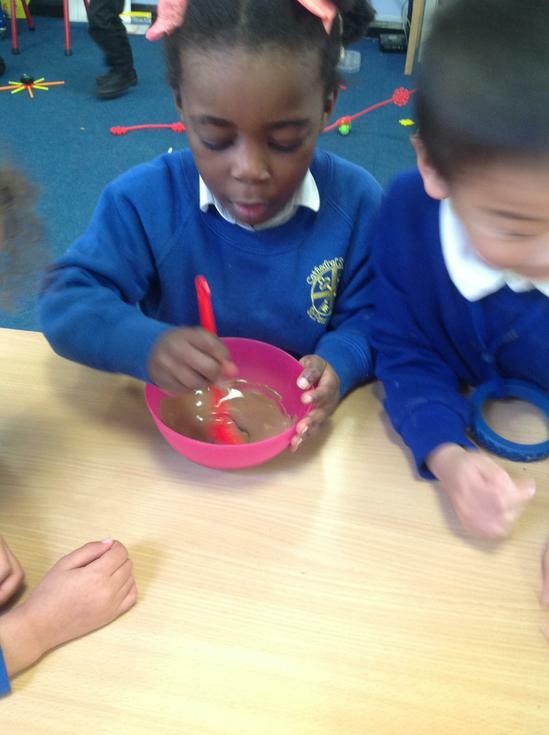 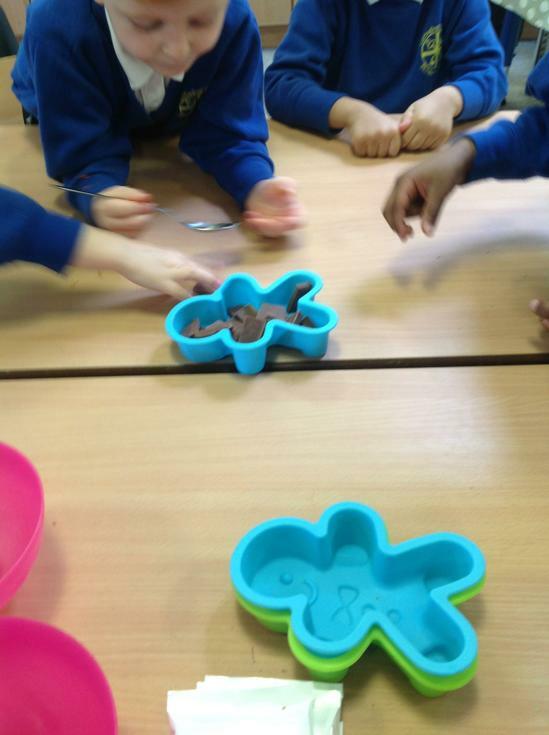 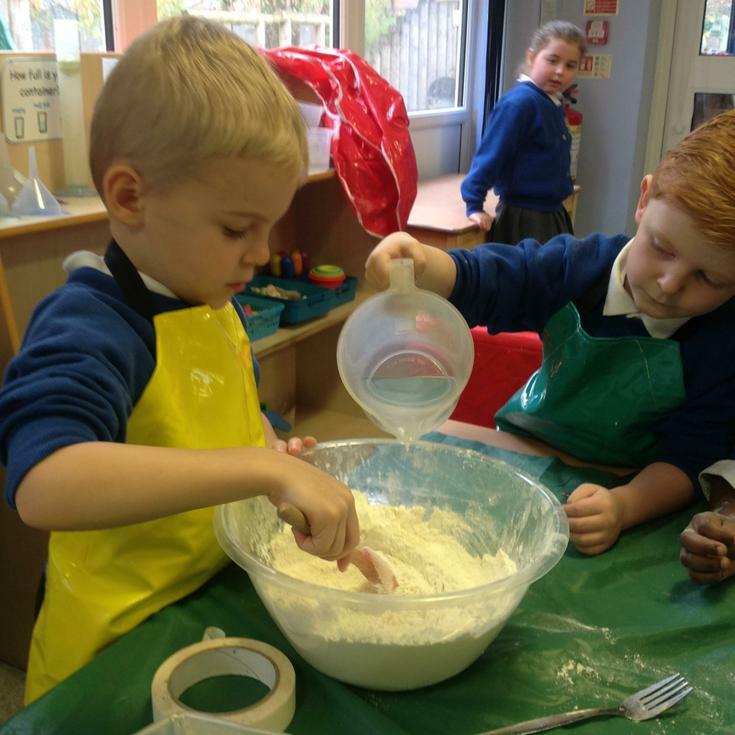 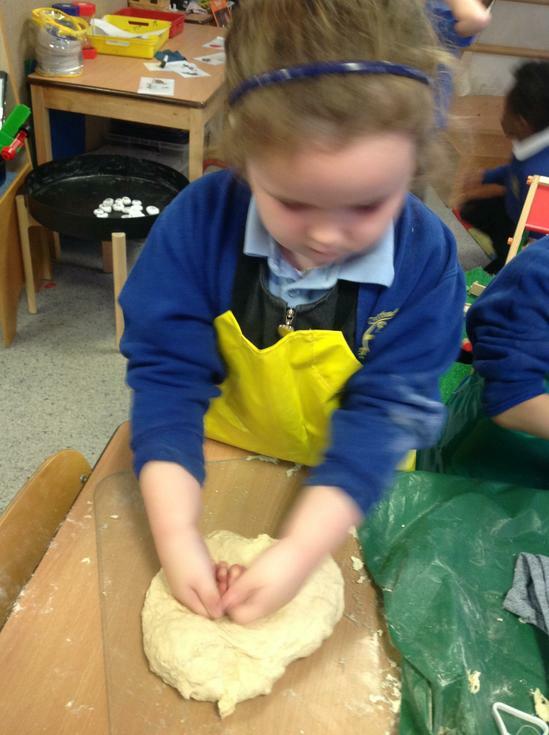 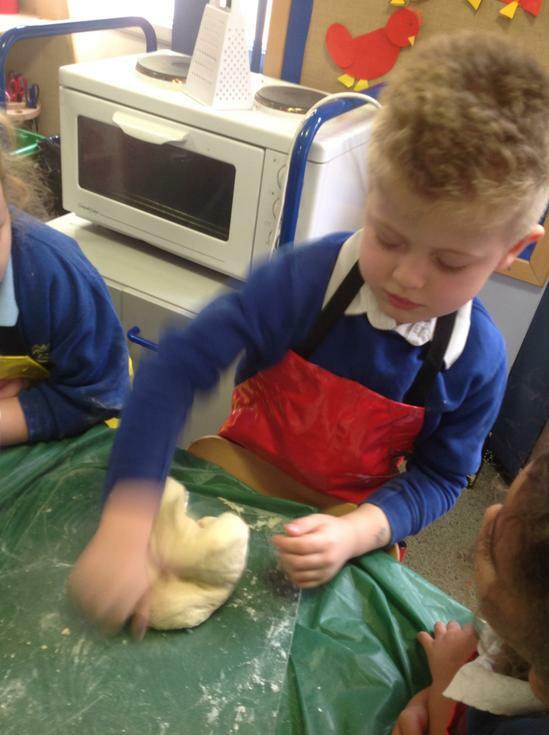 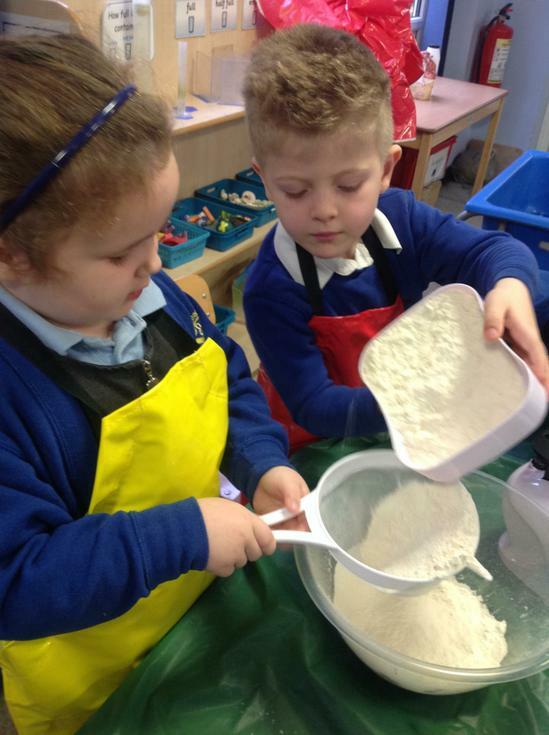 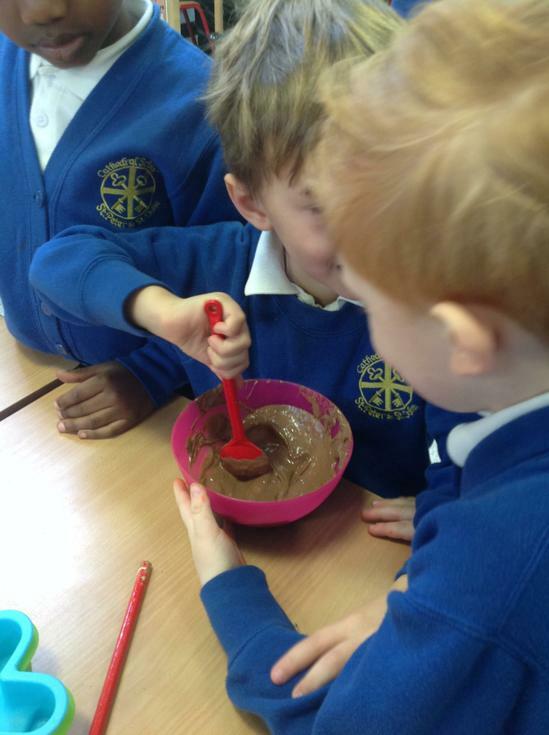 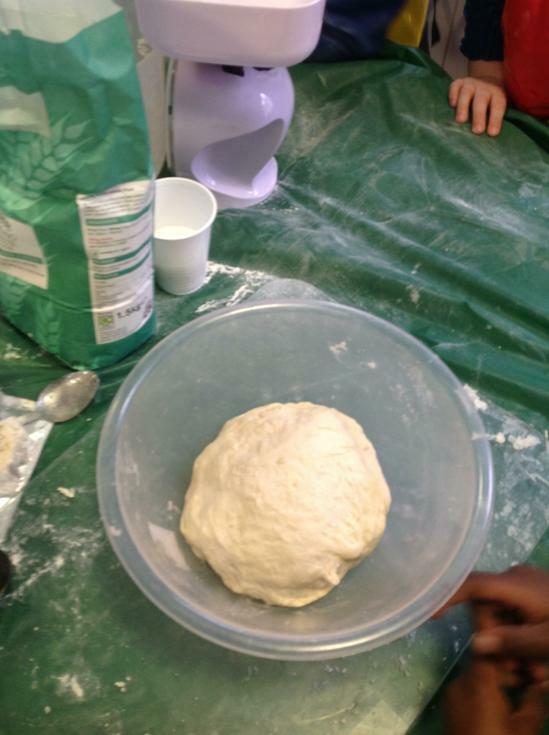 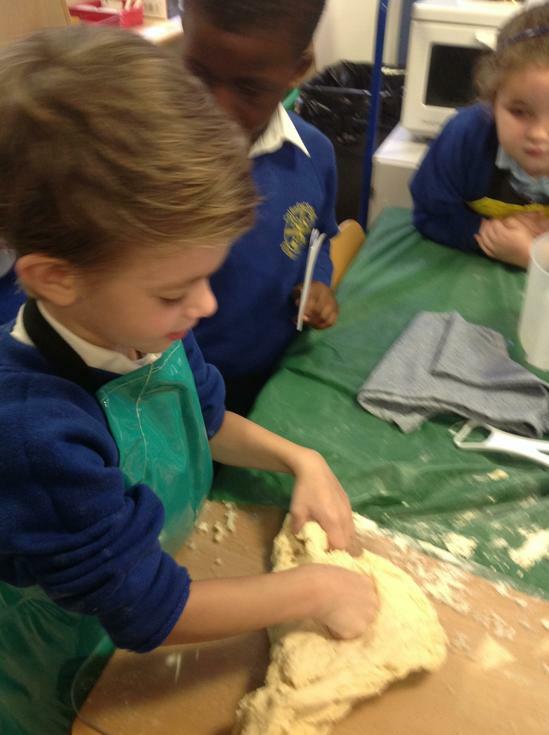 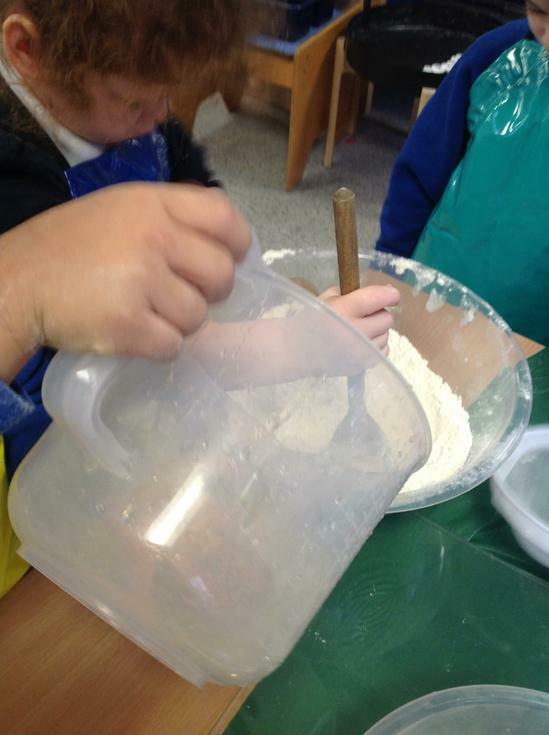 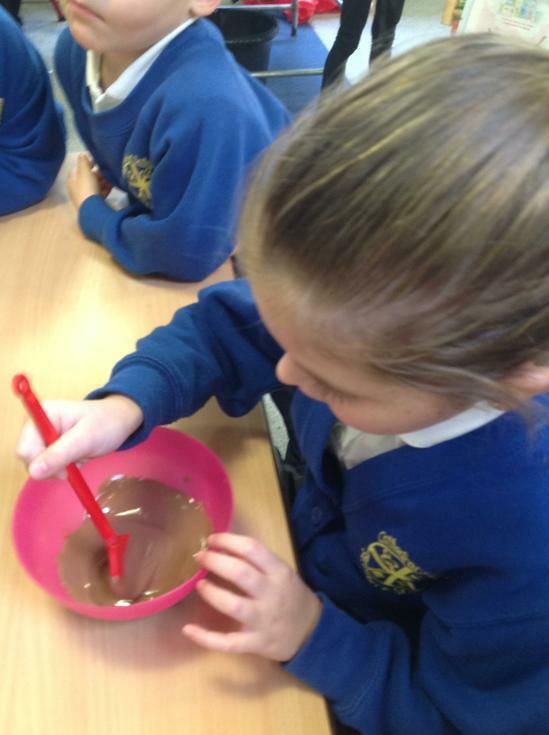 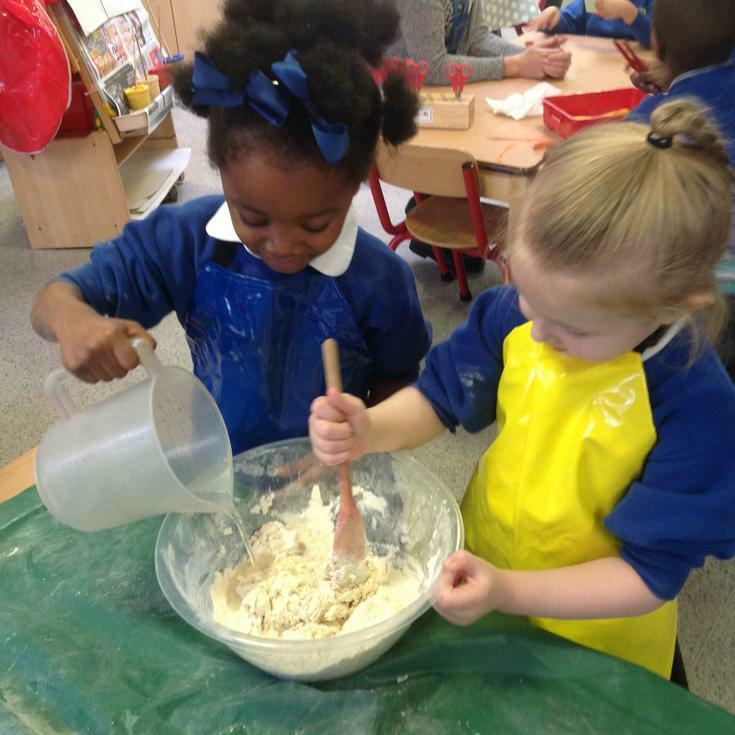 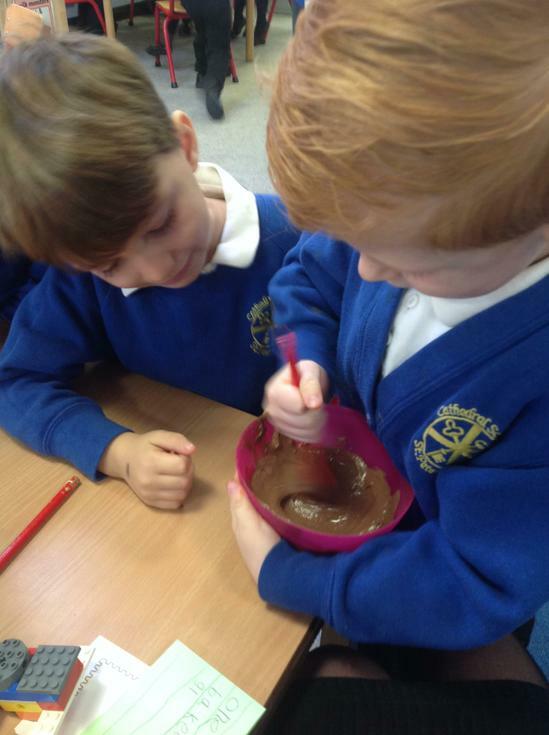 The children had a great time mixing, stirring and kneading the dough. 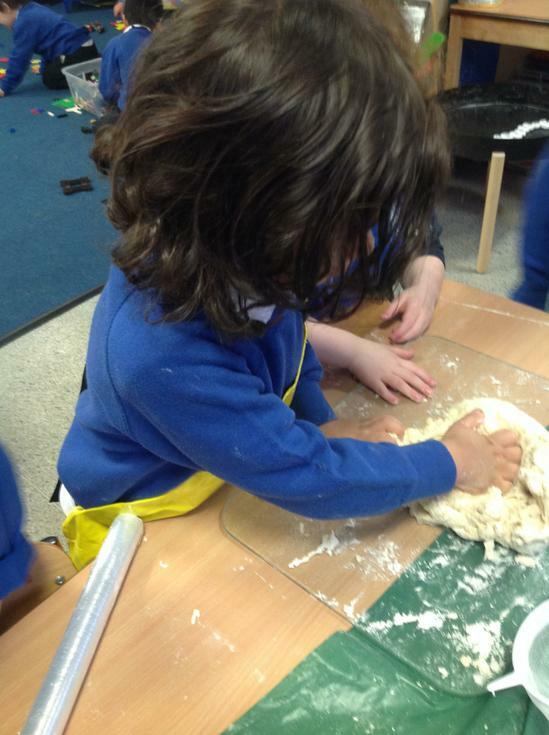 After baking, we all tasted the bread and everyone agreed, it was delicious. 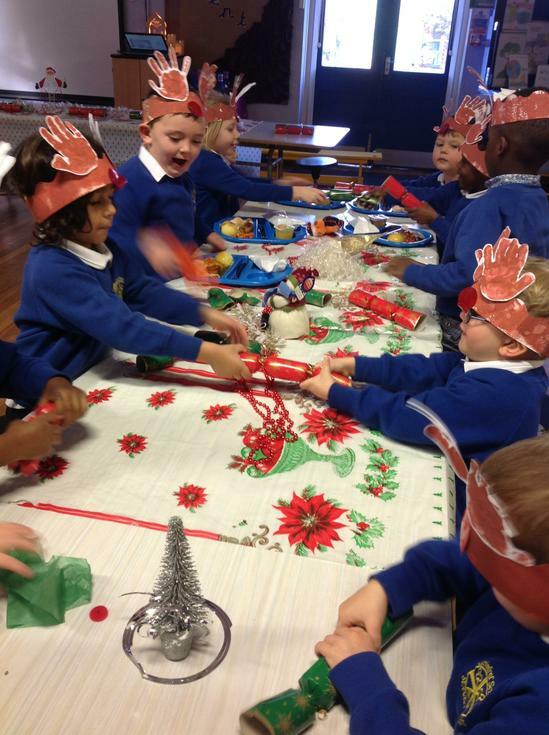 We had a fantastic time in the lead up to Christmas. 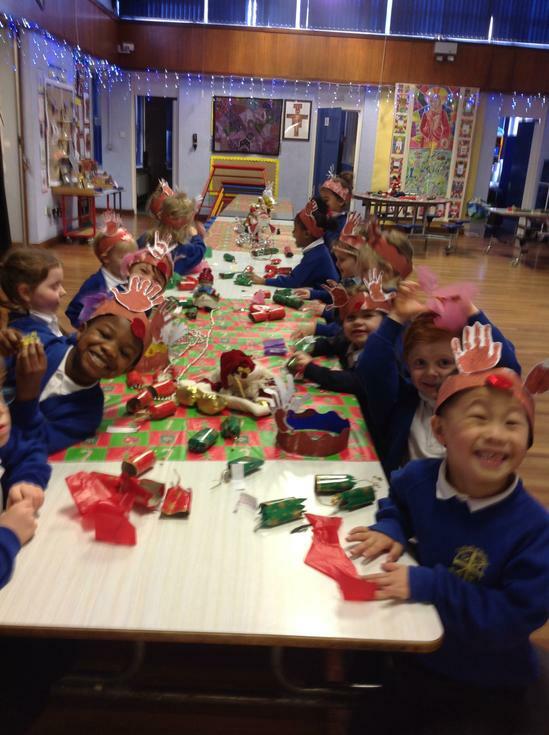 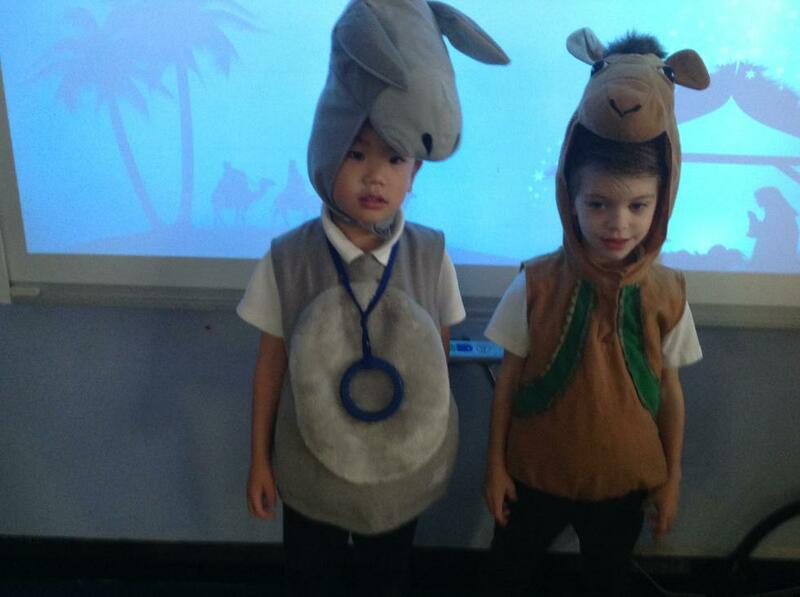 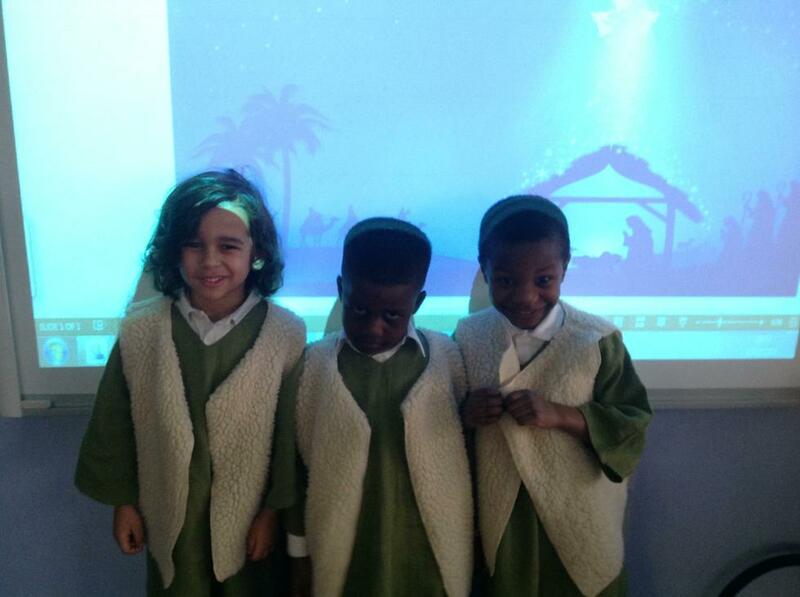 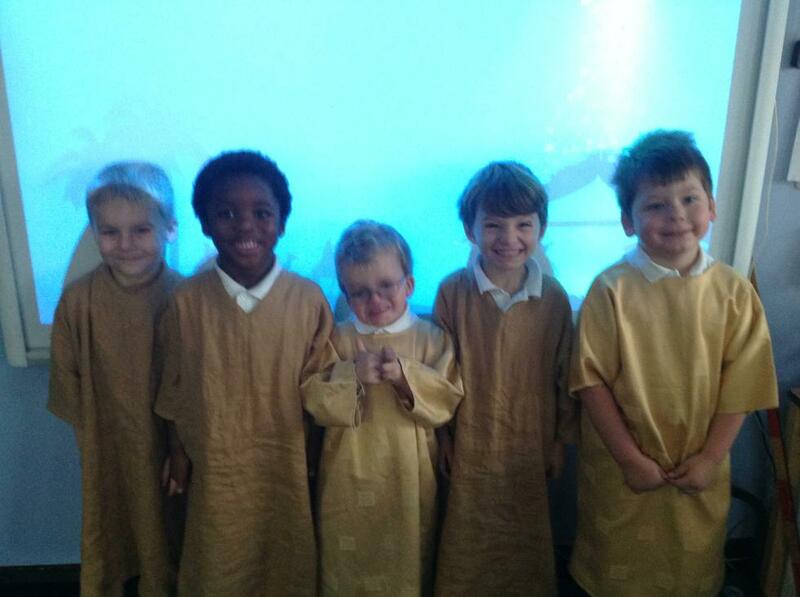 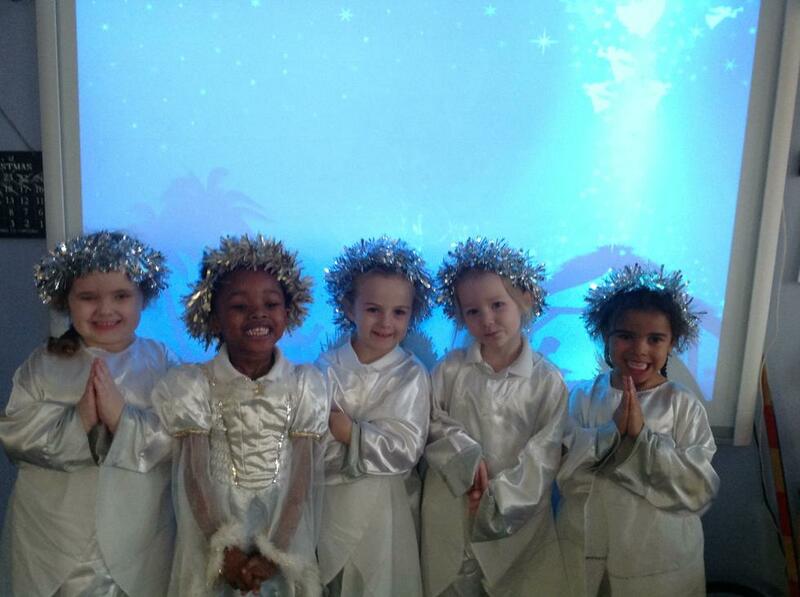 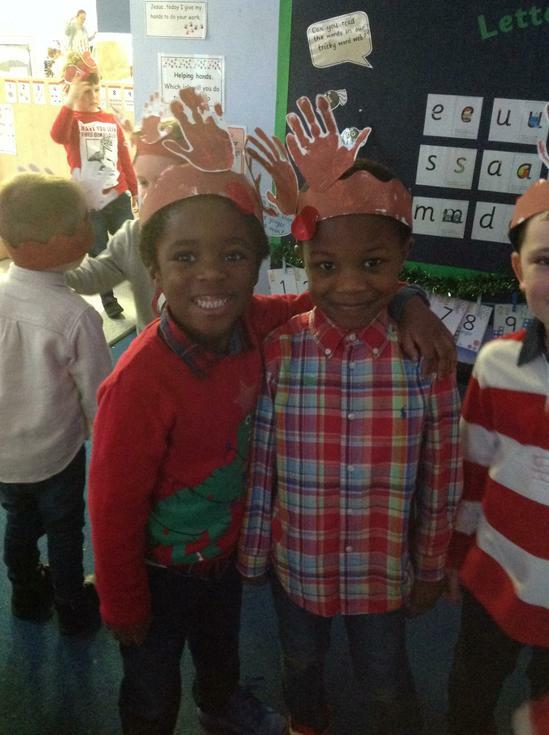 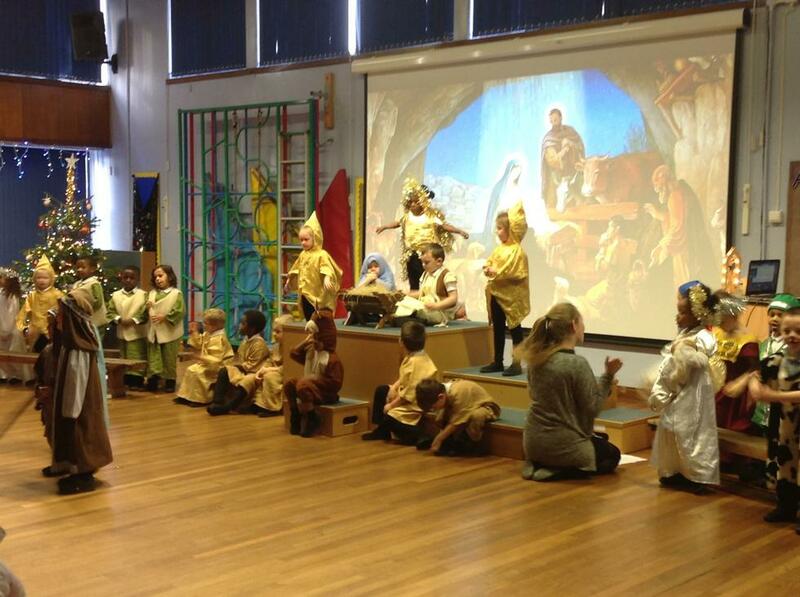 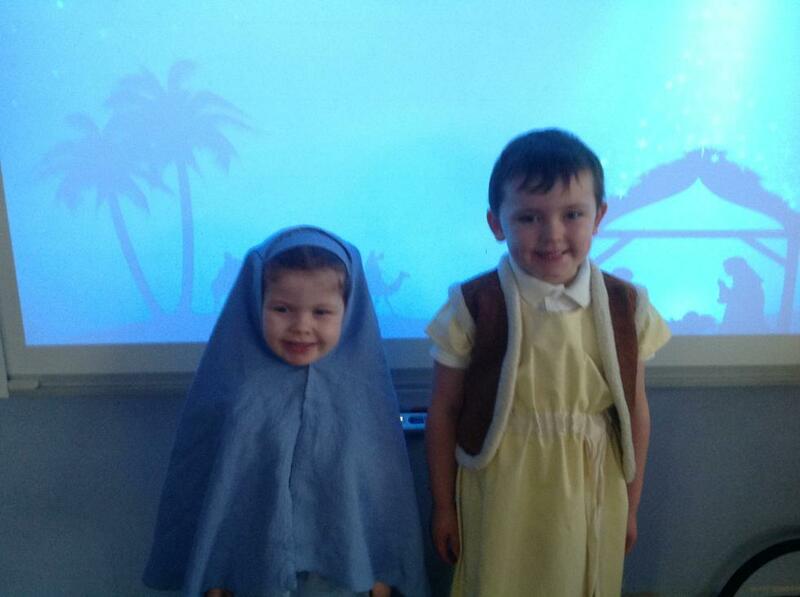 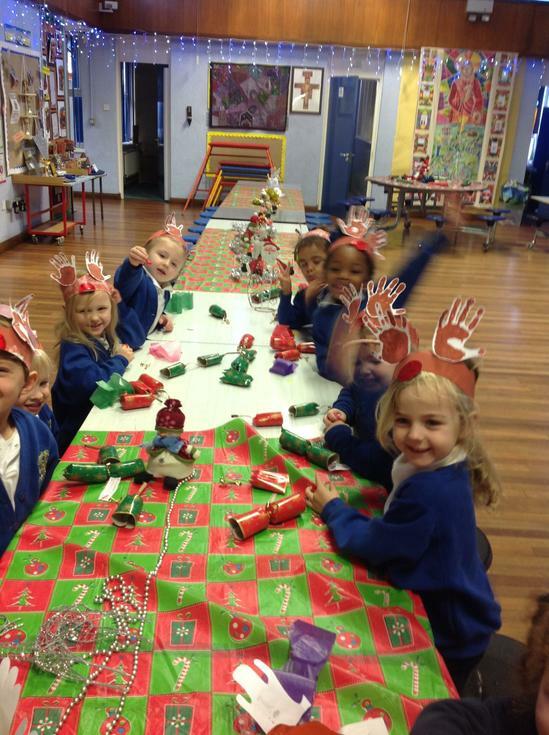 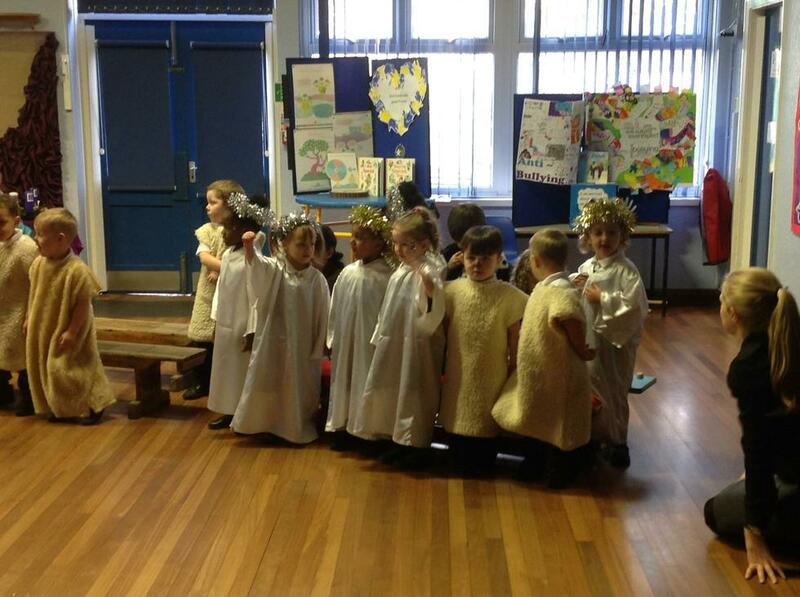 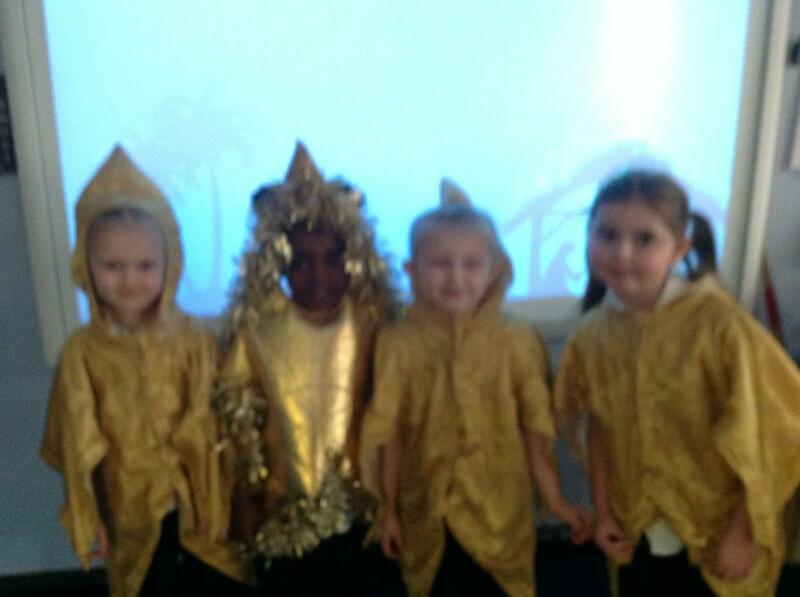 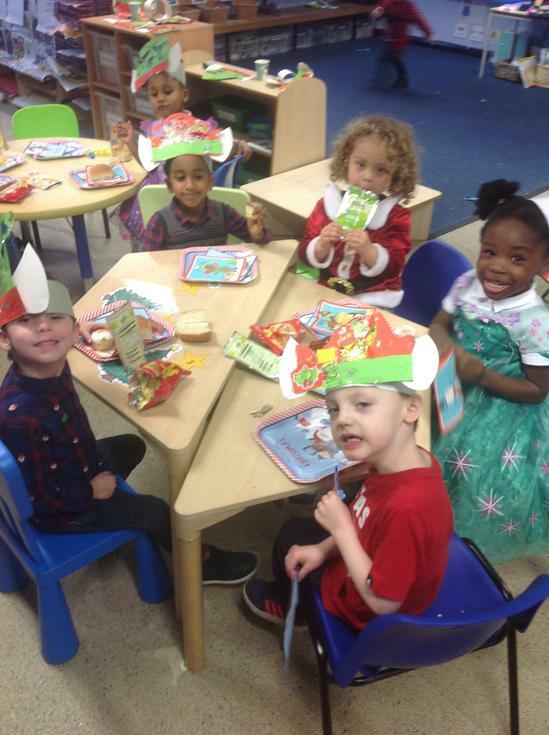 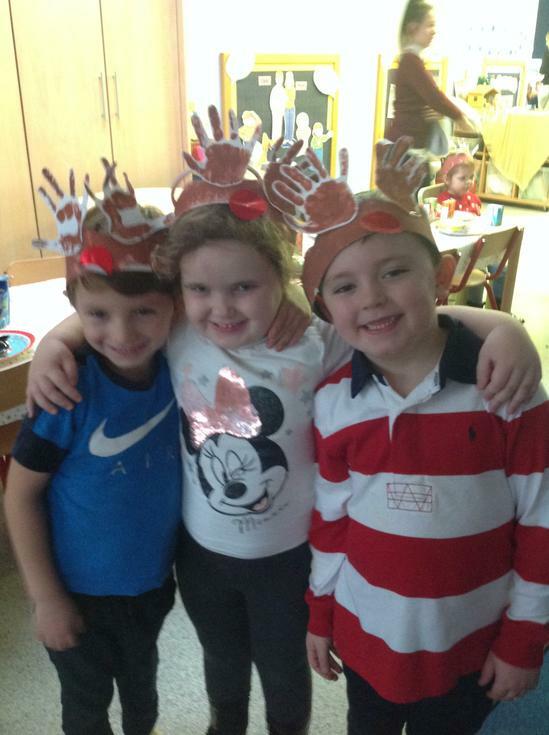 We practised and performed a Nativity play, had a Christmas lunch and even had time to party! 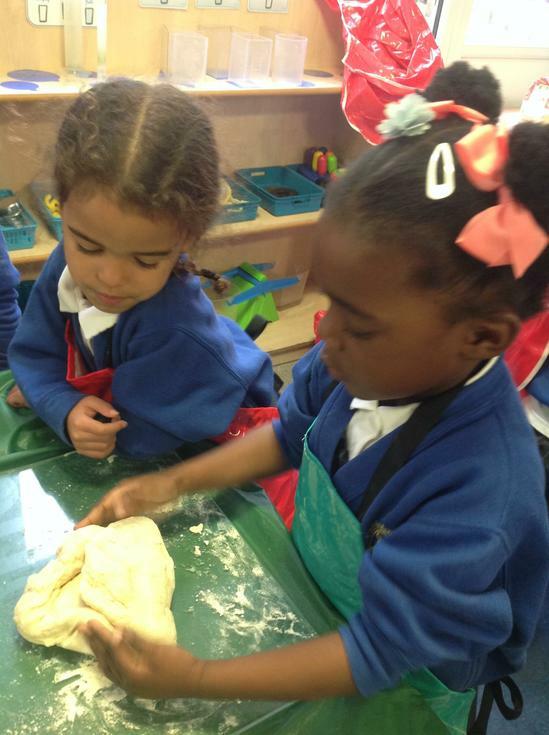 Did you know we have some amazing authors in the Reception class? 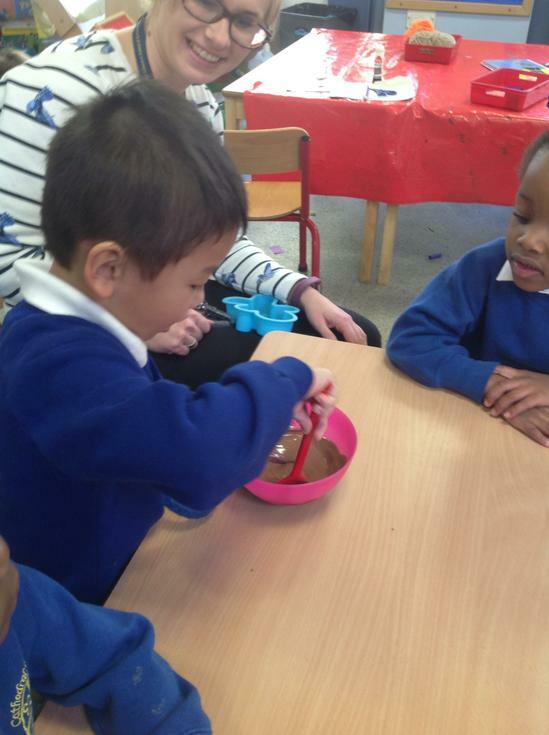 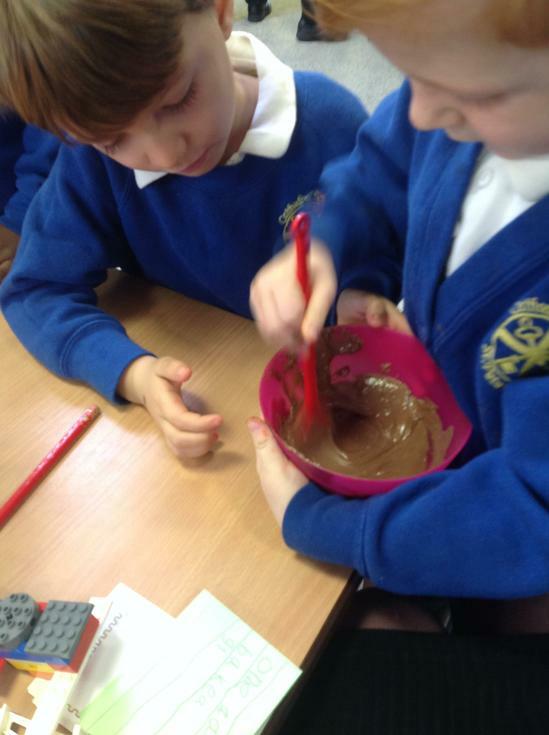 We decided to re-tell and re-write the story of the gingerbread man by changing it to 'The chocolate man'. 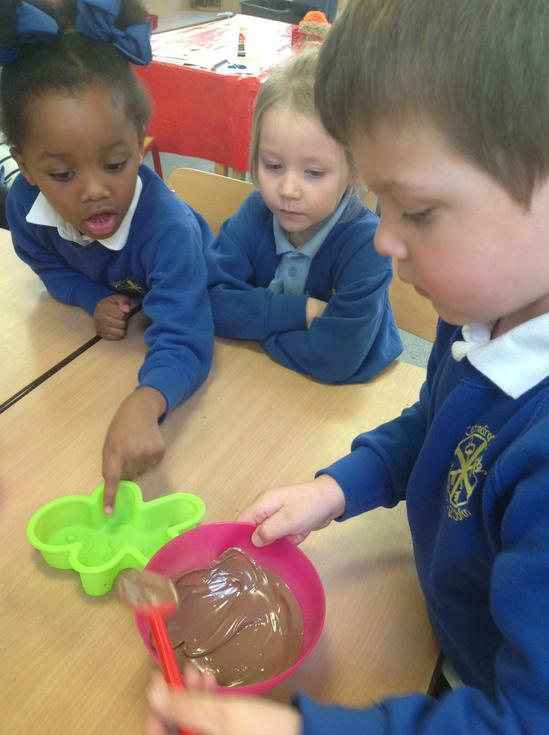 We made our own chocolate man and we added our own characters into the story... 'stop,stop, chocolate man' said Elijah. 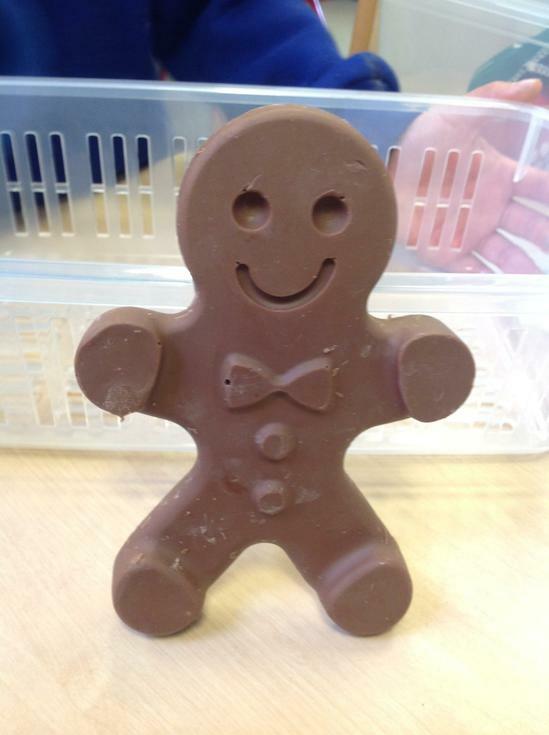 The best part was the end of the story where the chocolate man was eaten...by us!